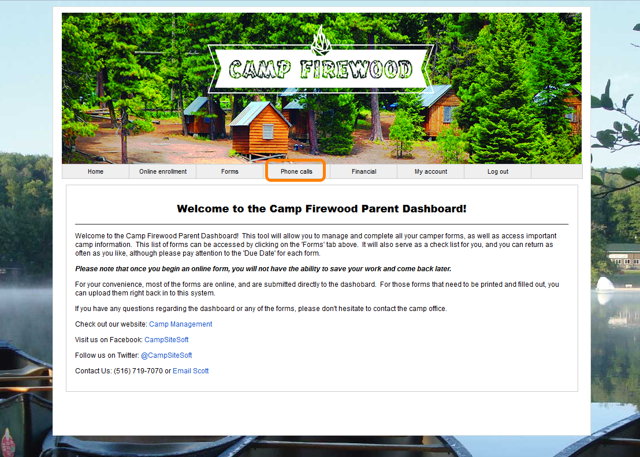 Login to the Parent Dashboard and choose "Phone calls" from the navigation bar. The parent's scheduled phone calls and remaining phone call credits are listed for each session in which the camper is enrolled. 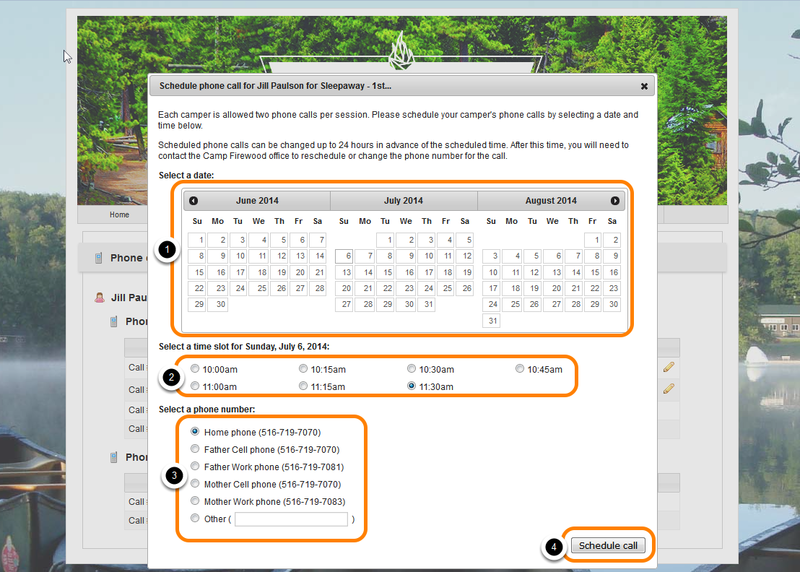 Primary parents (P1 & P2) cannot see phone calls scheduled for Divorced parents (D1 & D2), and vice-a-versa. Click "Schedule this call..." to schedule a new phone call. The new call is now scheduled. Parents may make changes to the phone call prior to the pre-phone call lockout period. During the pre-phone call lockout period, changes to phone calls must be made on the administrative side of CampSite.